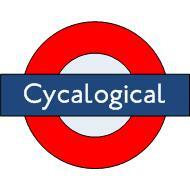 I don't think I've ever seen Central London quieter. Even in the middle of the night you get more traffic than I saw today, the first day of operation of the Oympics 'Zil' lanes. It's quite interesting to see the bizarre treatment given to CSH#8. 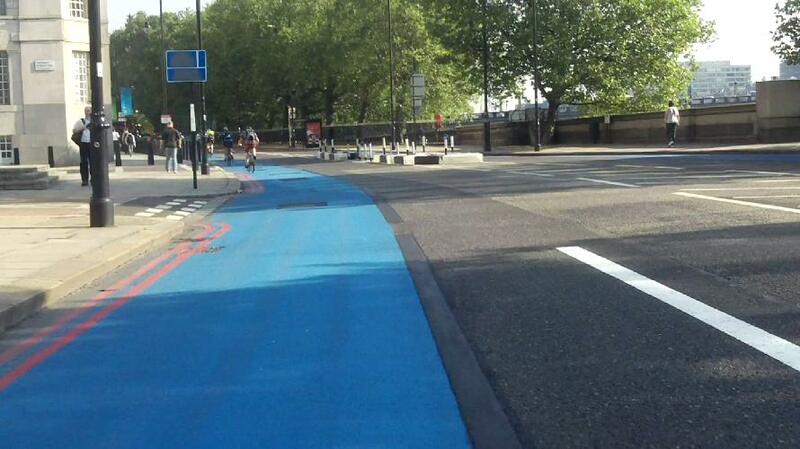 Above you can see they've blacked out all trace of the CSH barring the blue paint along Millbank. 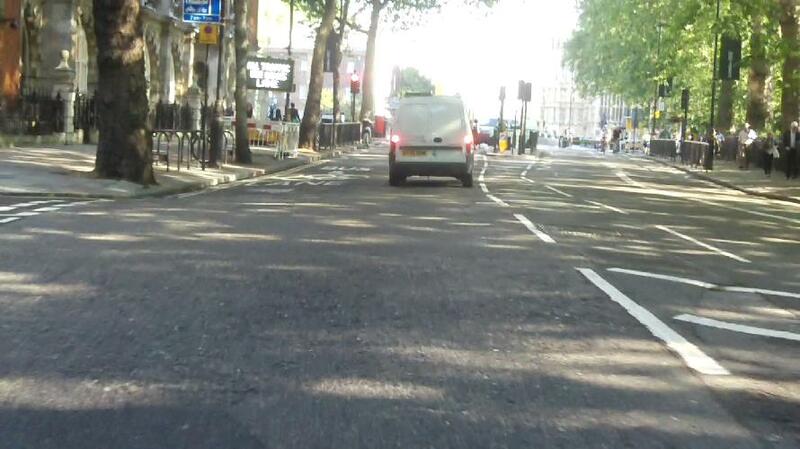 Here the lane markings were only advisory, so it was completely unnecessary to remove them. 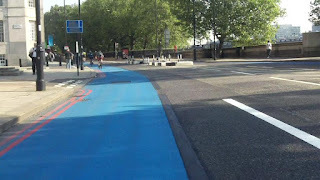 Above, you can see the Games Lane actually comes to an end, but they've still pointlessly blacked out the CSH markings. 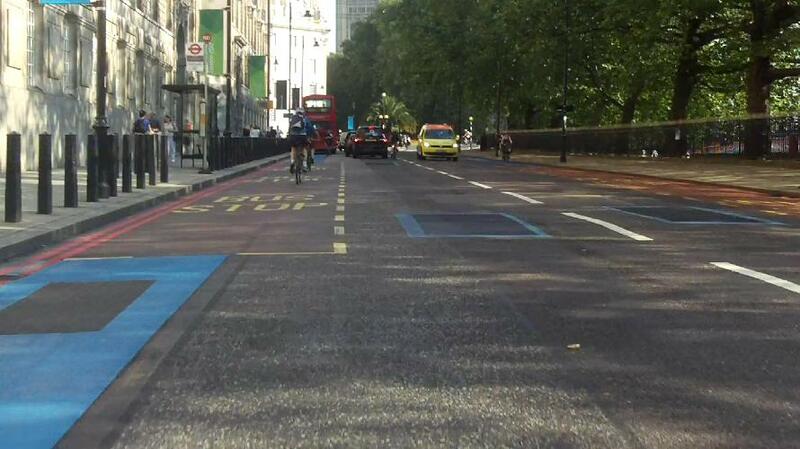 And above, they've even gone as far as to black out the CSH logos in the middle of the road. Presumably so that the 'Games Family' don't have to think about cyclists at all. Above, as we go past Victoria Tower Gardens towards Parliament Square, there is 'Bus and Games Lane' stencilled on the carriageway in big letters, but no lane markings, so it's not clear what to do here. 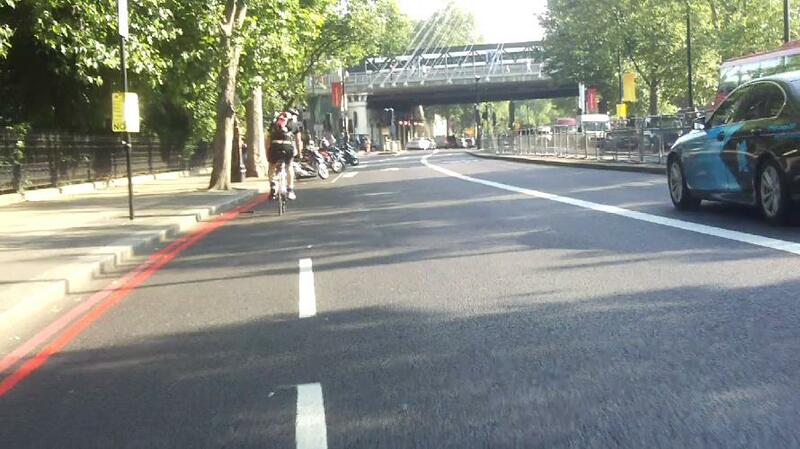 However it's on the nearside so bikes would be allowed in it - if it existed. Above: Believe it or not, this is Parliament Square. The bikes dominate the motor traffic for a change. 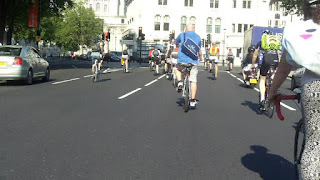 Above, Victoria Embankment. And there's an actual Games car in the Games Lane. Again, this road has never been quieter. 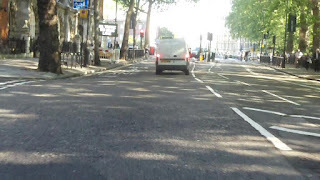 Now, we know that there are a lot of people avoiding driving in Central London because of the Olympics. But if journeys are really necessary, people presumably still have to drive. You can't deliver goods or fix boilers without a van. Maybe some of these essential journeys are being put off, but even allowing for all that, there was still a very small amount of traffic compared to normal, considering we're always being told about the absolute imperative of maximizing traffic flow. 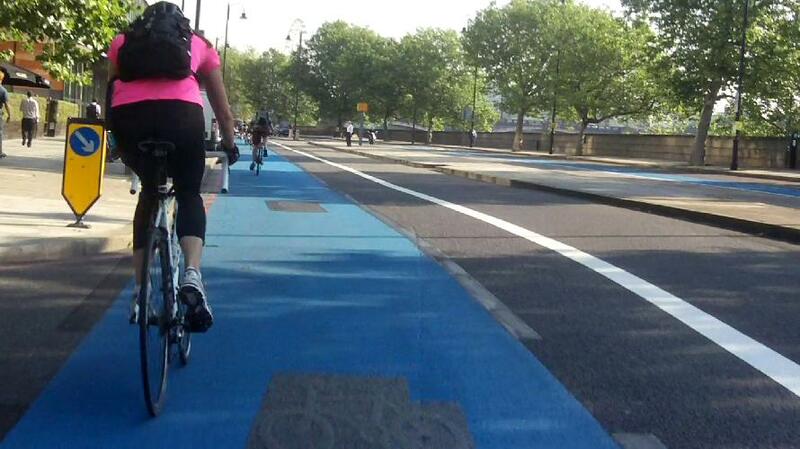 Maybe we're being kidded about the number of essential motor journeys in London? It's been a bit odd. 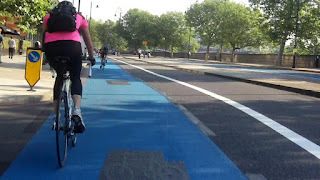 But I'm baffled that after encouraging people off public transport on onto the pavements or bicycles that some of the safest, best cycle routes are interrupted by blocked streets, tricky diversions and in many places an expectation that you shouldn't be there at all. I should think some types of motor traffic are fairly inelastic. I would like to see someone try to collect rubbish by bicycle, for example, and I would fear for my life if we had bicyle ambulances. More mundanely, I know there are some people who are game to travel around the city as plumbers or electricians on cargo bikes, but it strikes me as quite a challenge really. For those reasons I am keen to see an efficient and congestion-free motor road network - I'd just like all the single-occupancy private cars and many of the taxis taken off the roads, so the essential drivers can get on with their jobs, as time-efficiently as possible so their charges can reduce and/or their take-homes can improve. Decent cycle lanes could help make that happen. We'll send you some photos from the London Bike Swarm protest ride which starts at Hyde Park Corner at 6pm tonight! Same thing happened in Vancouver 2010. Everyone predicted car chaos. Instead, people took transit or vacation, and as a result the roads were car quieter than ever. People said out Port Mann Bridge felt like 1960s level traffic.